On August 28th, MTV unveiled the red carpet for the MTV Video Music Awards in the lobby of the JW Marriott Los Angeles L.A. LIVE. Following four days of construction, the lobby transformed into the red carpet arrival for the annual 2011 MTV VMAs. 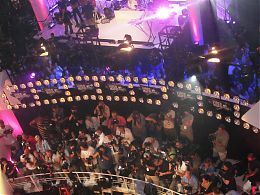 Selena Gomez, joined by Justin Bieber, hosted the on-air pre-show while celebrity guests, which included Beyonce, Adele, Katie Perry, Nicki Minaj and more entered through the front entrance of the hotel, greeted by paparazzi and screaming fans. The pre-show was the highest rated in MTV's history and the JW Marriott was thrilled to partner with the network on this exciting night. 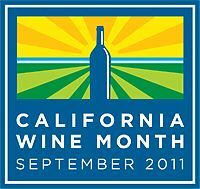 September is California Wine Month and to celebrate, gLAnce Wine Bar, located on the lobby level of the JW Marriott Los Angeles L.A. LIVE, will host complimentary wine tastings from select California wineries every Wednesday in September from 5:30pm to 7pm. Come join us for complimentary tastes of the best in California food and wine! No reservation is necessary. ** Wednesday, September 14- Kachina Vineyards: Hand-crafted artisan wines from beautiful Dry Creek Valley in Sonoma County. ** Wednesday, September 28- Collier Falls Winery: A hillside winery producing limited quantities of award-winning wines from the Dry Creek Valley. 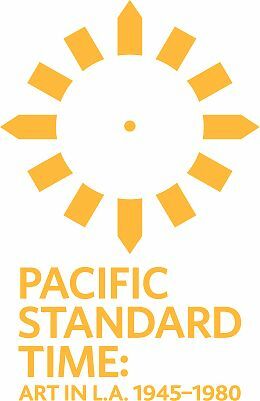 The rate for the Pacific Standard Time package starts at $239/ night and will be available October 1, 2011-March 31, 2012. To book the Pacific Standard Time package, please visit www.lalivemarriott.com and enter code ZJL. 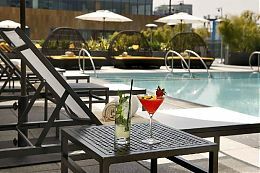 ION Rooftop Bar at JW Marriott Los Angeles L.A. Live has partnered with Ice Ice Shavie to present a sophisticated, summer poolside event. Ice Ice Shavie creates quality Hawaiian style shave ice using artisanal syrups made from the freshest ingredients. While a DJ spins poolside, Ice Ice Shavie will serve three unique shave-ice cocktails while a complimentary selection of passed appetizers will be served, as well as the full ION food and drink menu. Summer Cool Down with Ice Ice Shavie will be held at the ION Rooftop Bar on Thursday, September 15 from 6pm to 8pm; entrance is complimentary. Join the country's hottest chefs, from Tom Colicchio to Giada De Laurentiis, at the 1st annual Los Angeles Food & Wine Festival October 13-16. LAFW, presented by American Express Publishing, is a four-day epicurean event that matches celebrities from television, film, music and sport with celebrity chefs with a portion of the proceeds benefitting the Los Angeles Chapters of Meals On Wheels. Based at the internationally famous L.A. LIVE complex as well as locations throughout the city including Santa Monica and Beverly Hills, Los Angeles Food & Wine sets the stage as the first crossover culinary event in the country featuring celebrated food and entertainment personalities. Join our own LA Market chefs to kick off the weekend at the opening Red Carpet Premiere event at Nokia Plaza at L.A. LIVE. The JW Marriott Los Angeles L.A. LIVE will host a memorable date in the fifth episode of Bachelor Pad on ABC. The hotel will provide an incredible backdrop for a unique one-on-one date where the contestants will vie for love and the ultimate prize of $250,000 on ABC's hot summer series. Tune in to ABC Monday, September 5 at 8 p.m. PST and watch the romance unfold! The Bachelor Pad airs Mondays at 8/7 Central on ABC.